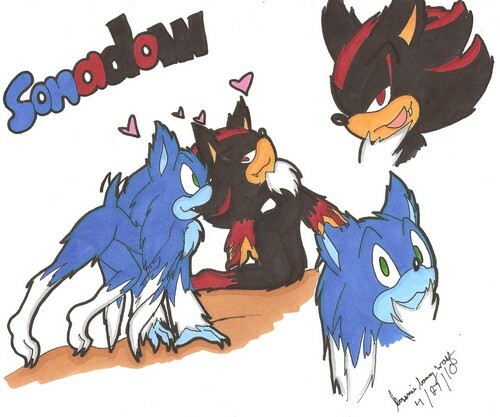 sonadow werehogs. two werehogs that are in love. HD Wallpaper and background images in the Sonadow club tagged: sonic shadow sonadow.